The Grinch has jumped off the pages of Dr Seuss and has landed in town. In Victoria, the current Government have informed state schools that Christmas celebrations can continue, but references to Jesus Christ are discouraged and may even be outlawed. Like blowing out candles and eating a birthday without celebrating an actual birthday, it’s ok to celebrate Christmas, so long as we avoid talking about its actual significance. The Bible is now banned from being mentioned during school time and no more prayers. Even hymns are prohibited, although carols are ok. Can anyone tell me how a school is meant to differentiate between a hymn and a carol? Does that mean Jingle Bells still rocks, but Away in a Manger has been thrown out? Are songs about an obese man obsessed with dressing in strange costumes in, but songs about the birth of Jesus are out? We can mention the reindeer but not the donkey, the elves but not the shepherds? Perhaps this has less to do with religion and more about discriminating against classical music in favour of crappy pop songs. After all, has there been a genuine classic Christmas song composed in the last 50 years? Any school performing Handel’s Messiah had better watch out. To be fair, Education Minister, James Merlino, has said, “As with other curriculum decisions, schools will make the decision as to which Christmas carols feature as part of classroom activities.” So maybe, just maybe, there is still so room in our schools to sing ‘Joy to the world’. 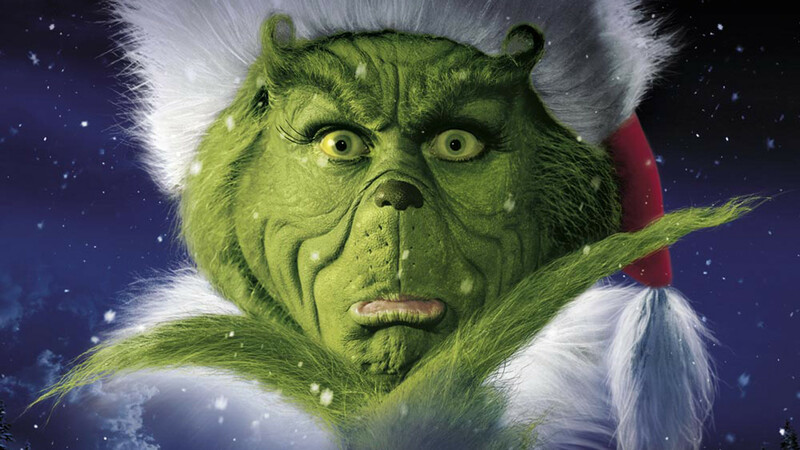 I like the Grinch; when he’s mean he is funny, and in the end the Grinch realises the folly of his ways, but real life isn’t always so comical. We can easily close our children’s books but we should not be so quick to overlook our history books. There is a lesson from history that the Daniel Andrews’ Government are ignoring, and it is a lesson that was taught at the very first Christmas. At the time when Jesus was about to be born, Joseph and Mary were knocked back by the BMA (Bethlehem Motel Association); no one wanted them, and so Jesus was born in a cave where animals sheltered at night. When news of Jesus’ birth reached the Government, they didn’t take it too well. In fact , the man in charge, Herod, sent his cronies across to Bethlehem to stamp out any mention of Jesus. Well, we know how history ended up, Jesus won, and Herod and the citizens of Bethlehem with their closed door policy have been booed into incongruity ever since. These new Herodian-like policies in our schools ought to be respected; they are stupid but we must obey them, for the Scriptures tell us to do so (Romans 13). However, I think it is wise for us to revisit history, because by giving it the cold-shoulder we are bound to repeat the same errors that others before us have made. While Herod hounded and Bethlehem was brusque, at the same time some of the smartest people and the lowest people of that time, did go to Bethlehem seeking Jesus and in finding him worshipped him as king and God. History remembers well the Magi and the Shepherds . If you’re not a fan of Herod, and you do love Christmas, why not visit one of the many churches that will be celebrating the birth of Jesus and singing all the carols we love? And maybe do it soon, just in case someone has the cracker idea that talking about Jesus in Church is no longer a tolerable thing to do. There is an invitation to Mentone Baptist’s Christmas services here. Indeed, I would like to extend an invitation to Mr Andrews and Mr Merlino to attend our Carols Service on December 20th, 6pm. You and your families are very welcome to join us. I read through the school policy advisory guide carefully today. There is no mention of what may or may not be sung that I could find. Perhaps I was looking in the wrong place. Yes, I think that’s the ambiguity in the changes to the policy. Some things are clearly out, such as the Bible and prayer, and I believe ‘hymns’ are also out, but carols permissible. That’s why I thought it important to include the quote from James Merlino. The Age article has interpreted the changes as suggesting that songs with Christian content are probably not ok. I think there is an uncertainty on this one area, although the trajectory seems to point in a clear direction. Readers shouldn’t interpret this particular criticism of the Andrews’ and Merlino Government as part of some broader political disapproval.